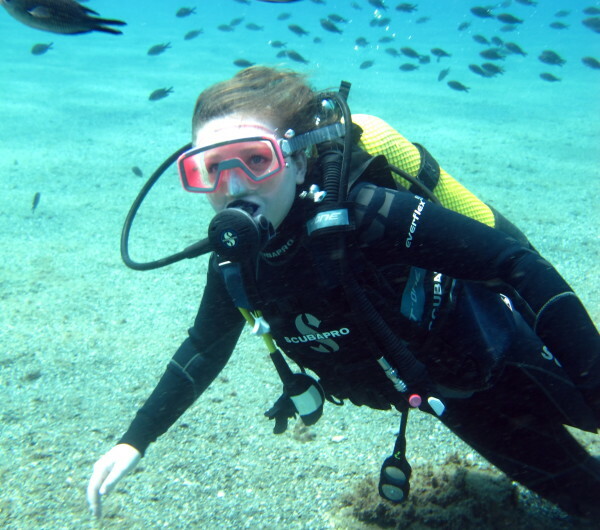 If you’ve always wanted to try scuba diving, then here’s your perfect opportunity! Slap on some fins, a mask and some scuba gear and learn to breathe underwater. It’s as simple as that. Your fun-filled session will be conducted in calm, shallow water. You can then take your skills to the reefs of the open Mediterranean. Whether you watch the short PADI Discover Scuba DVD or are briefed with the Discover Scuba Diving Flip Chart, the in-depth scuba class will ensure you’re fully prepared for your first underwater adventure. After you and your instructor kit up in your scuba gear, you’ll have the chance to dive to a maximum depth of 12 metres/40 feet. This is a great way to learn how to scuba dive on the Costa del Sol and can be done in just one day! As soon as you Discover Scuba, you’re on your way to an internationally recognized certification. That’s because you may learn skills from the PADI Open Water Diver course during your Discover Scuba adventure. If you and your instructor elect to practice these skills, they may be credited to the PADI Scuba Diver or Open Water Diver certifications. What does all that mean? Go diving, practice some skills with your instructor, and get a head start on your PADI Scuba Diver or Open Water Diver certification! To take part in PADI Discover Scuba Diving, you must be at least 10 years old and must complete the Discover Scuba Statement (which includes a brief medical questionnaire). With PADI Discover Scuba Diving, you discover excitement and adventure, freedom and serenity. Nothing compares to the “weightless” exhilaration of breathing underwater and moving around in inner space. Only a diver knows the feeling!